Metro Nashville Public Schools serves 81,000 students and taking care of the places where these children learn and play is a big job. That’s where the Metro Schools Facility and Grounds Maintenance team comes in. 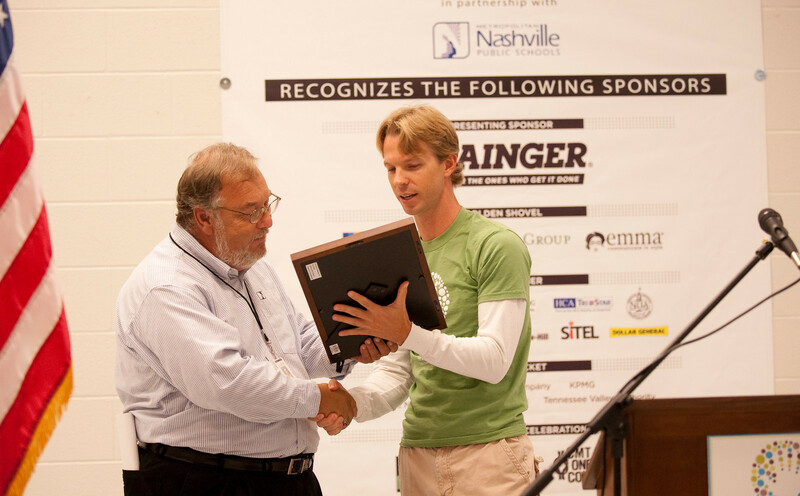 Thomas Hatfield, director of facility and grounds maintenance for MNPS, receives a token of appreciation from Hands On Nashville president & CEO Brian Williams during Hands On Nashville Day 2009. Thomas W. Hatfield, Metro Schools director of facility and grounds maintenance, has been helping to coordinate Hands On Nashville Day for the past 20 years. A proud graduate of Metro Schools, he is perhaps the one person in Nashville who has been intimately involved in planning this day of service each year since the event’s inception in 1991. Every year, Mr. Hatfield and his team put in many hours of work to help coordinate projects with schools, oversee the logistics of project supplies (mulch, paint, paintbrushes, wheelbarrows, drop cloths, and more), and be on call the morning of the event to field any last-minute supply needs. When asked how much paint he thinks HON Day volunteers have gone through over the years, Mr. Hatfield responds with a proud laugh, “A bunch!” After looking back through his records, he shares a more exact number: nearly 21,000 gallons of paint. 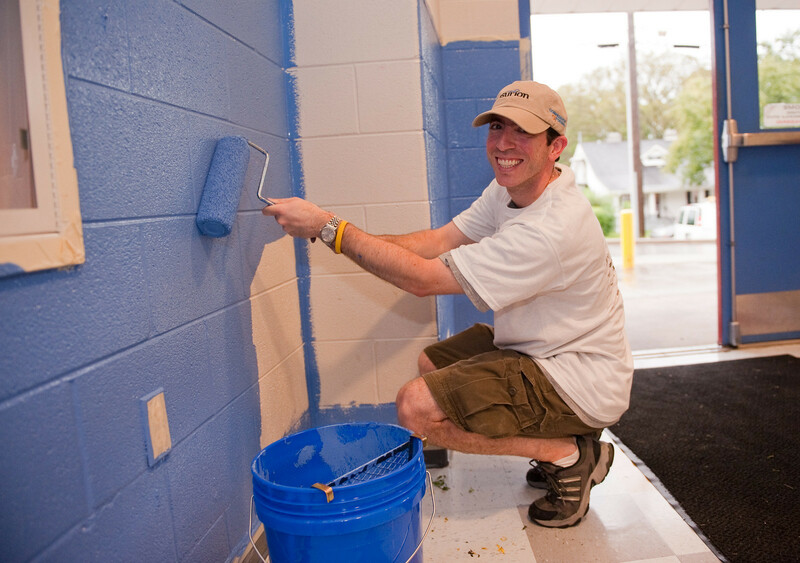 Mr. Hatfield estimates that Hands On Nashville Day volunteers have gone through 21,000 gallons of paint throughout the event’s 21-year history! Hands On Nashville would like to extend a special THANK YOU to Metro Schools and Mr. Hatfield for their continued partnership and support in making this inspiring community event possible. We are so grateful for Hands on Nashville volunteers. So are we! Volunteers make this city such a special place. Thanks for your awesome partnership, MNPS!